7 Original Link Building Techniques That Improve SEO! Link building is an aspect which plays a monumental role in improving the SEO on Google. It is a method through which links are obtained for a website. Search engines like Google constantly use links for discovering new web pages and determining the rank of a page in the search results. 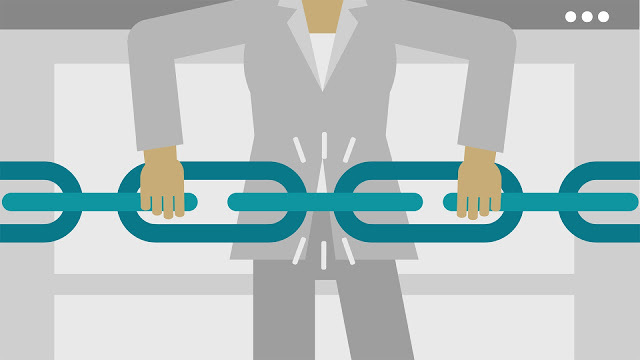 Link building improves the visibility of the website and also helps to get quickly indexed in the search results. Therefore, it is indispensable to incorporate various procedures that facilitate link building. An easy and free way to get a link is to offer a testimonial to a service provider, product, business or software in exchange for a link. It is nothing but appreciating and praising a product or service for the good qualities openly and asking for a link in return from the supplier. The testimony should be always about a good product or service from a reputed brand and only then the value of the link will be worth it. Many prominent blogs and websites welcome guest posting with open arms and willingly comply to publish the article. It is a golden opportunity that should not be missed. Guest blogging helps to get a link to one’s website in the article and also in the bio of the writer. But, it should be ensured that the post is of a good quality and the website in which the post is being made is relevant to one’s own website or blog. To dominate the competitors in SEO, it is very important to see how the competitors are performing. This can be done through analysis of the various aspects of the competitors’ backlinks. Most of the competitors have certain common backlinks and with the help of the Common Backlinks Tool (CBLT), these backlinks can be analyzed and obtained for one’s own website as well. Competitive Link Detox (CDTOX) can be used to find strong and not risky links which are relevant to the content of a website and to compare the site against the competitors. To constantly know about the competitors’ new links and activities, Link Alerts (LA) tool can be used. This tool also helps to unearth new techniques and sources for link building. One can cleverly get indirect backlinks from competitors by finding the pages to which the competitors are linked to commonly. Tools like Moz.com, SEMrush.com, and Ahrefs. provide an insight into all the links pertaining to a website and also classify the links according to the prominence of the site. Social media is a means to build colossal connections. One should try to join the various social media communities like forums, blogs, and social groups etc. which are related to the website content and build a good relationship which will, in turn, offer prolific opportunities to gain new contacts. Dynamic participation in online communities will massively contribute to getting backlinks and also helps to know the latest trends in the industry and interests of the people. There should be social media accounts created for the website, with the link to the website made clearly available in the bio. Each and every backlink is very important to push the SEO of the website to a higher level. A few times, there may be broken links related to the website when the link is misspelled or the location of the web page is changed. So, it is imperative to recover the Dead Backlinks pertaining to a website. This can be done with the help of Link Juice Recovery Tool (LJR). It helps to detect backlinks which are linked to HTTP code 404 errors, Timeout errors (504) or invalid access errors (403). There are a plethora of link building tools available online which will contribute immensely to increase the links to the website and aid to obtain a higher ranking in the SEO on Google. Tools like Bulk URL Analyzer (Juice Tool), Strongest Subpages Tool (SSPT) are a few popular ones among the many link building tools.